You are here: Home > eCommerce Journal > Where do you get your information? From eBay? 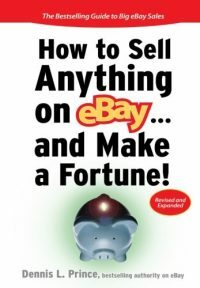 When we sign up as sellers on the service known as eBay, what is it we are buying? As sellers we are buying access to millions of Internet savvy consumers actively searching and looking to make a purchase of some kind... In addition, we are buying access to the information and systems developed by eBay to sell our products or services to those consumers. 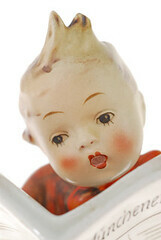 eBay is a repository of information. eBay is a clearinghouse of transactional data and a venue to exchange information, in the form of marketing goods and services. 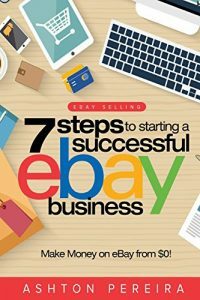 As a corporation, eBay profits a great deal from the knowledge they have developed over they last decade as the premier Internet auction house and marketing service in the world. eBay in turn sells that information and that system to us as sellers and we buy into that service each and every day. 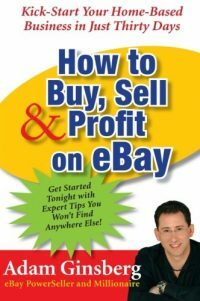 Some may think eBay shares all of this knowledge, gained during years of Internet marketing, away freely. But in fact eBay earns income from every tidbit they choose to release to the public via the fees generated from each new seller who signs up to sell on the eBay system. eBay has been phenomenally successful, when they share information - most everyone listens and follows what eBay says. As sellers we pay eBay for the information exchange which occurs with consumers on the eBay site. We also buy into a system designed to effectively and easily sell products to the public. If you own a successful business and/or have developed a popular product or service... you have information gained from the years of sweat and effort that went into the development of your business. Information is the currency of most successful people. When you have information others covet then it follows that you have a valuable asset. Have you ever considered the possible dissemination of the information you have gained which makes your business successful as a tangible asset? Which method above should you rely on, to increase the bottom line of your primary business? Will your consultation business grow into a profit center which will allow you to live the life of Timothy Ferris, author of the 4-hour workweek? Or will a consultation business lead you into even more hours of the daily grind you already live with in your present business? And how will a traditional consultation business help you gain the exposure necessary to grow your core business? The answer is that unless you are Dan Kennedy, it won't. 1.) Accepted by a traditional publisher? 2.) Becoming a NY Times Best Selling Title? 3.) Staying on that list for more than a week? But you did not become successful in your core business by being swayed by challenges, right? So what is the answer? How can you profit from your years of hard earned knowledge and experience in a highly predictable and profitable way? How can you sell your knowledge and experience like eBay? The answer is selling on eBay every day - information products. What is an information product? and how can developing one help my business you're asking?